We are widely trusted for offering HACCP Certification Services. Our services are unanimously acclaimed for authenticity and reliability. These services are attested and verified by the concerned authorities as per the industrial standards and norms. Moreover, we always conduct several rounds of cross-checks before offering these services to our clients spread across the nation. These services are offered to fulfill the variegated needs and requirements of the clients. We offer HACCP Certification services in Delhi, India. We are HACCP certification services, which provide services in different part of India from Delhi, Mumbai, Kolkata & Chennai. We are offering a wide array of HACCP Certification Services. Hazard Analysis and Critical Control Point (HACCP) is a process control system designed to prevent and identify microbial and other hazards in food production. It includes steps designed to prevent problems before they occur and to correct deviations as soon as they are detected. HACCP is most recognised food safety certification of world. HACCP stands for hazard analysis & critical control point. HACCP certificate ensures that food is safe for consuption. 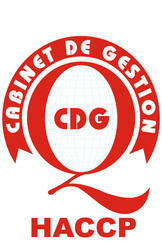 CDG is a leading HACCP certification comapny. Our HACCP certification services is recognised worldwide. We are dedicatedly engaged in offering an optimum quality array of HACCP Certification (Hazard Analysis and Critical Control Point) for our esteemed customers. HACCP is recognized and lets your patrons know that your products are safe for consumption. Having a functional HACCP system can enhance the marketability of your products in the international marketplace. HACCP is globally recognized and lets your customers know that your products are safe for consumption. Having a functional HACCP system can enhance the marketability of your products in the international marketplace. Hazard Analysis and Critical Control Point or HACCP is a management system by which food safety is addressed through the analysis and control of biological, chemical, and physical hazards from raw material production, procurement and handling, to manufacturing, distribution and consumption of the finished product. HACCP is an integrated control system of food safety at all stages of its production and distribution. HACCP stands for - Hazard Analysis Critical Control Point. In short, HACCP system which includes a series of procedures to control the process and sensitive points in the food chain. HACCP (Hazard Analysis Critical Control Point) is the systematic preventative approach to food safety. It addresses physical, chemical, and biological hazards as a means of prevention rather than finished product inspection. This approach has significant benefits to organizations operating within the food supply chain as it enables them to determine key controls over processes and concentrate resources on activities that are critical to ensuring safe food. HACCP stands for Hazard Analysis Critical Control Point in short, HACCP system which includes a series of procedures to control the process and sensitive points in the food chain, with the ultimate goal of consumer foods used in the state and in a way that is safe for his health. HACCP the system from the seventies of the twentieth century became recognized as an international standard for safe food production. Also, the World Health Organization (WHO) has adopted it as the most effective means for controlling food borne diseases. HACCP certification Noida. Our organization is offering an astonishing range of HACCP Certification Services. HACCP is most recognized food safety certification. HACCP stands for hazard analysis & critical control point. HACCP certificate ensures that food is safe for consumption. In addition to this, these services are admired for its low cost and timely execution. Hazard Analysis and Critical Control Point (HACCP) is a process control system designed to identify and prevent microbial and other hazards in food production. It includes steps designed to prevent problems before they occur and to correct deviations as soon as they are detected. Such preventive control system with documentation and verification are widely recognized by scientific authorities and international organizations as the most effective approach available for producing safe food.HACCP involves a system approach to identification of hazard, assessment of chances of occurrence of hazards during each phase, raw material procurement, manufacturing, distribution, usage of food products, and in defining the measures for hazard control. In doing so, the many drawbacks prevalent in the inspection approach are provided and HACCP overcomes shortcomings of reliance only on microbial testing.HACCP enables the producers, processors, distributors, exporters, etc, of food products to utilize technical resources efficiently and in a cost effective manner in assuring food safety. Food inspection too would be more systematic and therefore hassle-free.It is a food safety methodology that relies on the identification of critical contol points in food production and preparation processes.Closely monitored ccps will ensure that food is safe for human consumption.HACCP principles are now promoted and incorporated into food safety legislation in many country. It would no doubt involve deployment of some additional finances initially but this would be more than compensated in the long run through consistently better quality and hence better prices and returns. Retailers, the food industry and Government in particular are concerned about ensuring that food is produced safely and that the consumer has confidence in the product. This has led to an increase in legislation over time that has focussed upon ensuring safe systems of food production. In the UK the 1995 Food Safety Amendment Regulations, for the first time required manufacturers and providers to adopt HACCP to ensure food safety. To furnish the diverse requirements of our valuable clients in the best way, we are engaged in offering HACCP Certification Services. To offer the best quality certification service, these services are rendered with following quality norms. Apart from this, we are offering this certification service range at the budget friendly market price. 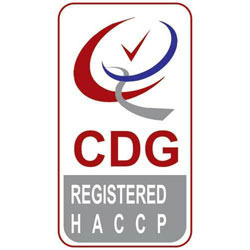 CDG Certification Ltd is a leading HACCP food safety certification company from Delhi india we also provide HACCP food certification, HACCP certification training, HACCP certification consultancy & in Ahmedabad Gujarat India. We also provide these services in Rajsthan also. We are looking for HACCP ( hazard analysis critical control point) certification in Vadodara, Surat, Ankleshwar, Vapi Rajkot, Silvassa, Gandhinagar, Jamnagar, Bhavnagar, Mahuva, Surendranagar, Mehsana, Kadi, Kalol Godhara Dahod, Siddhpur, Palanpur, Mundra kutch and in other cities of Gujarat and in india can contact us. We are a team of certified lead auditor and food technologists who can help organizations in making their plant infrastructure, lab infrastructure, process flow, work environment , technical processes more efficient and effective in line with food safety requirements. 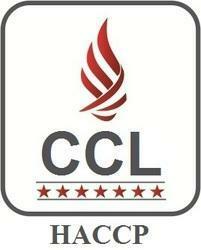 CDG Certification Ltd is one of best HACCP Certification companies in Delhi. Contact us immediately for HACCP Certification Services. We have marked a distinct place in the industry by providing a high-quality array of HACCP Certification. HACCP stands for Hazard Analysis and Critical Control Points. HACCP is an industry-wide effort approved by the scientific community, regulatory and industry practitioners. This effort is designed to focus specifically on food safety, including food safety in retail establishments. HACCP stands for Hazard Analysis and Critical Control Points. HACCP is an industry-wide effort approved by the scientific community as well as regulatory and industry practitioners. This effort is designed to focus specifically on food safety, including food safety in retail establishments. This training manual has been designed to provide a simple and logical approach for introducing a HACCP-based food-safety training program for employees of retail establishments. The manual provides the necessary information and references for developing a HACCP plan. Such a plan is intended to produce a system having a step-by-step analysis and resulting in procedures to be followed, including the much-needed documentation of those procedures. HACCP, or the Hazard Analysis Critical Control Point system, is a process control system that identifies where hazards might occur in the food production process and puts into place stringent actions to take to prevent the hazards from occurring. By strictly monitoring and controlling each step of the process, there is less chance for hazards to occur. HACCP is globally recognized and lets your customers know that your products are safe for consumption. Having a functional HACCP system can enhance the marketability of your products in the international marketplace. Hazard Analysis and Critical Control Point or HACCP is a management system by which food safety is addressed through the analysis and control of biological, chemical, and physical hazards from raw material production, procurement and handling, to manufacturing, distribution and consumption of the finished product. We are engaged in offering a wide range of HACCP Certificate to our valued patrons. HACCP enables the producers, distributors, and exporters of food products to utilize technical resources efficiently and in a cost-effective manner in assuring food safety. HACCP audits focus on the potential causes of food safety hazards by assessing the entire production process and then applying preventative controls at critical points. HACCP audits focus on the potential causes of food safety hazards by assessing the entire production process, and then applying preventative controls at critical points. HACCP / ISO 22000 enables the producers, processors, distributors, exporters, etc, of food products to utilize technical resources efficiently and in a cost effective manner in assuring food safety. Our global network of food experts carries out HACCP audits and helps you focus on the hazards that affect food safety and hygiene. It is then possible to systematically identify where the hazards are by setting up control limits at critical points during the food production process. CDG’s certificate of HACCP is generally regarded as being credible certification. CDG, HACCP Certificate provides confidence to Customers of organizations producing, Processing, Retailing Food Products for both domestic and export markets. HACCP is a management system in which food safety is addressed through the analysis and control of biological, chemical, and physical hazards from raw material production, procurement and handling, to manufacturing, distribution and consumption of the finished product. HACCP is applicable to all types of organizations irrespective of size, nature or geography of all Food Chain from farm to feed, primary producers, food manufacturers, transport & storage operators and industry such as producers of equipment. Because HACCP is a management system that touches raw material production, procurement and handling, manufacturing, distribution, and consumption of food, National Registry worked with a global team of food safety experts to link HACCP principles in the development of an examination that would comprehensively address the HACCP system within that wide range of organizations. The HACCP system is a process control system guidelines which is applicable to any organization those who are dealing with Manufacturing, trading, supply, retailing, packing, transportation, farming etc of food product HACCP (Hazard Analysis and Critical Control Points) is a risk management system that identifies, evaluates, and controls hazards related to food safety throughout the food supply chain. While all seven HACCP principles are included in the ISO 22000 standard. HACCP is an internationally recognized food safety system. This course curriculum will provide online and hands-on training to develop and implement a HACCP (Hazard Analysis & Critical Control Point) system. The HACCP system is a process control system guidelines which is applicable to any organization those who are dealing with Manufacturing, trading, supply, retailing, packing, transportation, farming etc of food product. Food safety Management System is an absolutely affective means of assuring food safety. Preventing problem from occurring is the permanent goal underlying any Food Safety Management System. Food Safety Management System can be consider as a management system that addresses food safety through the analysis and control of biological, Certification of your HACCP management system by CDG provides national recognition that the system complies with the Codex Guidelines. Ongoing periodic and independent review by Food Safety Plus can assist you to improve business performance. 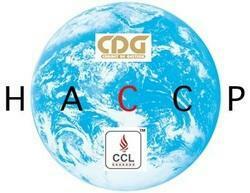 Contact CDG Certification Limited immediately for HACCP Certification of your company. In order to cater the client’s needs, we are involved in offering a technically advanced array of Best HACCP Food Safety Certification Services. HACCP certification instantly demonstrates to customers your commitment to producing or trading in safe food. This evidence-based approach can be particularly beneficial when you are subject to inspection by regulatory authorities or stakeholders. HACCP certification instantly demonstrates to customers your commitment to producing or trading in safe food. This evidence-based approach can be particularly beneficial when you are subject to inspection by regulatory authorities or stakeholders. The HACCP system is a process control system guidelines which is applicable to any organization those who are dealing with Manufacturing, trading, supply, retailing, packing, transportation, farming etc of food product. Food quality control is an important measure that must be taken to prevent contamination and misuse of food supplies by manufacturers and distributors to protect the health of consumers. HACCP certification instantly demonstrates to customers your commitment to producing or trading in safe food. This evidence-based approach can be particularly beneficial when you are subject to inspection by regulatory authorities or stakeholders. The food supply chain for food and beverages is vital for the health of the nation. A HACCP system is a preventative approach to controlling food safety. HACCP moves away from reliance on end product testing to a more proactive, Food is a basic need and its safety of great importance to consumers. It is the responsibility of actors in the chain to ensure this safety and to be aware of the vulnerability of complex systems. Our technical team is comprised of some of the most accomplished food scientists in key food industry sectors. We know the food industry intimately. CDG Certification HACCP Certification (Hazard Analysis and Critical Control Points) focuses on the a sepsis of facilities, equipment and products, to control the process and sensitive points in the food chain; with the goal of consumers, food used is safe for their health. HACCP is a management system in which food safety is addressed through the analysis and control of biological, chemical, and physical hazards from raw material production, procurement and handling, to manufacturing. HACCP is a process control system designed to identify and prevent microbial and other hazards in food production, according to Bureau of Indian Standards. ISO 22000 HACCP Certification in India turns an organization into a reliable source of food product suppliers that a client can trust undoubtedly. The Management holds responsibility for the control of the health hazard factors and provides assurance on the safety of the food product. Food safety is the concern of all organization whether it is private or government across the world. ISO 22000 HACCP offers the best standard to implement all across the organization which helps to develop a safe and reliable standard across the organization. It provides a systematic method for analyzing food processes, determining the possible hazards and designating the critical control points necessary to prevent unsafe food from reaching the consumer. Hazard Analysis and Critical Control Points’ or HACCP on the other hand is a systematic preventive approach that evaluates the hazards of the production process rather than the inspection of the finished product. HACCP Certification is based on the internationally recognized Codex Alimentarius Commission's standards on Recommended International Code of Practice -General Principles of Food Hygiene and Hazard Analysis and Critical Control Point (HACCP) System Guidelines for Its Application. 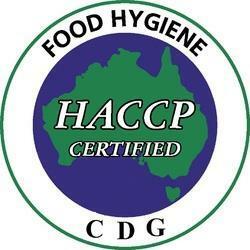 Contact CDG Certification Ltd for HACCP certification of your company. With the help of our skilled professionals, we are able to render HACCP Certification Services (Delhi Mumbai Kolkata India). HACCP stands for Hazard Analysis Critical Control Point that includes a series of procedures for process control and sensitive points in the food chain, with the ultimate aim that the consumer uses the food in the state and in a manner that will be safe for his health. In seventies became recognized as an international standard for food production and the certification process for HACCP are similar to any other certification schemes.